Please note that the import ONLY supports Excel 97-2003 files. The first line are the column headers and you'll be able to map these fields to the fields in the CRM database after you upload the spreadhseet. Notice there are 2 unique company names, ABC systems and Best Computers. Importing this file would create 2 account records, one for each company, and 3 contact records. You can use the ignore option in the dropdown list if you want to skip any of the fields. You can also specify a Batch ID. This is usefuly as the import will tag all records added with this ID. We can use it to find and or delete all records later using the search option. 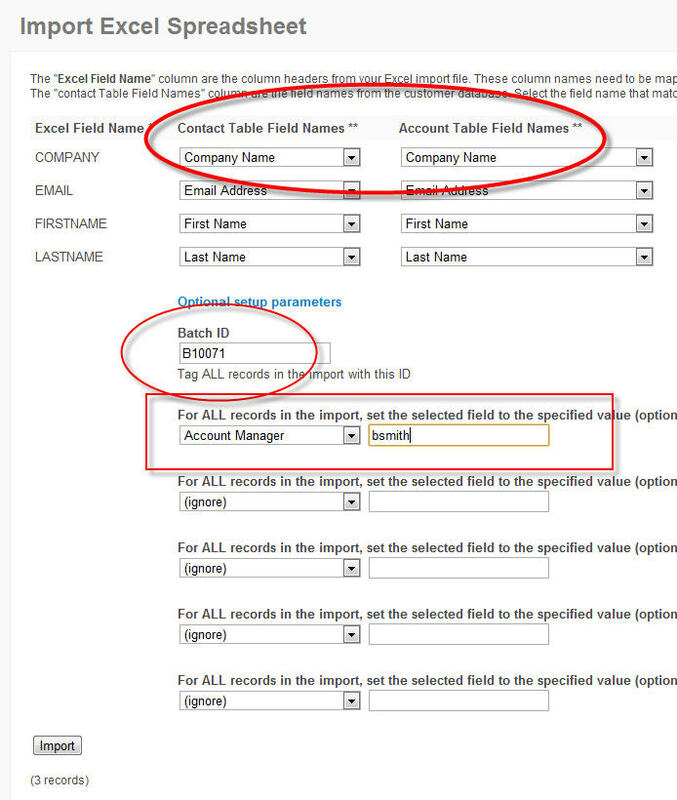 You also have the option to set fields on the CRM database to a specified value. For example, if you wanted to indicate that you are the accout manager for all records, select the account manage field and enter your login userid. 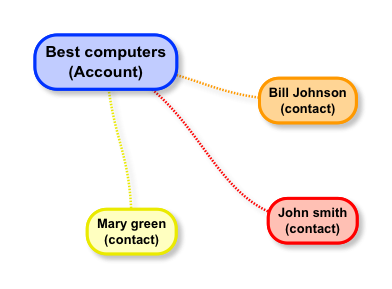 If at a future date you again upload a spreadsheet that includes company names that match an existing name in the CRM database, only new contact will be added to the existing account. The system will not create a new company account if it's in the database already. a. exclude the company name field from the spreadsheet. This will cause the import to only create account records. b. or you can use the check box option to indicate you only want to create account records and no contact records.